Knowledge base Are you making the most of our HomeAway integration? 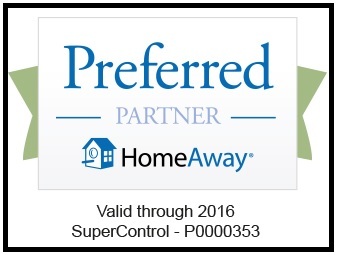 SuperControl to HomeAway (and affiliate sites, eg Owners Direct) and vice versa. 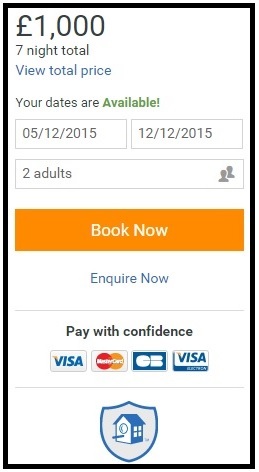 And did you know that you can also get online bookings through your HomeAway listings? Offering online booking is one of the main factors that influences how high your property ranks on HomeAway (the higher your rank, the greater your visibility – and that equals more bookings). According to HomeAway, 92% of travellers using their websites expect to be able to book their holiday from the property listing. As a SuperControl customer, you can take online bookings through your property listings on HomeAway. HomeAway conversion analysis shows that enabling online booking leads to much higher conversion to bookings so, if you’re using the SuperControl/HomeAway integration, it’s crucial you enable online booking for your listing. To add this feature to your HomeAway listings, please contact your HomeAway Account Manager. Reviews are one of the main ranking factors that HomeAway uses and they will become even more important in the new ranking algorithm. If you use UpFront Reviews, these reviews can be automatically pushed from SuperControl to your HomeAway listings. To enable this, log in to SuperControl and go to Integrations > Channel manager > International > HomeAway (5 or more listings), then tick the box next to “Enable the Sending of Reviews”. Enquiries from HomeAway (and any affiliate site) can be captured automatically within your SuperControl account. This is designed to save you lots of time by not having to manually enter them in yourself. Once you’ve done that, any enquiries that come via these channels will say “HomeAway Auto Import” in the “Entered by” column. And these enquiries can be managed and quoted in the same way as any other. Each listing must have at least six pictures but you can use up to 24 (more is best). The recommended resolution is 1920 x 1080 pixels. The maximum photo size is 20 MB. The first photo serves as a thumbnail so should be the most representative of the property. You should fill in all captions with information pertinent to each photo. Headlines must have at least 20 characters. Descriptions must have at least 400 characters. Each listing must have at least 6 photos. Bedroom and bathroom count should be included for each listing. An accurate address and latitude/longitude is required for each property. Updated calendar and rates information. If you’re unsure of any of these points, make sure you log in to your HomeAway dashboard to check how you can improve your listings – or, let us know and we’ll try to help you. Do you have city centre properties? You should know that HomeAway has massive demand and not enough supply for self-catering properties in UK cities.